Is there any simple way to relax? Doing absolutely nothing is a great way to relax, but there are always better way! Let's try Alpha sound to get into a deeper level of mind! A quick way to bring you into the Alpha level of the mind where you can solve you problems, set your goals and energize your creative powers. This audio CD will guided you to quickly reach an Alpha state while relaxing the different parts of your body in a progressive manner. The gentle tapping of the Alpha sound can assist you in getting onto the Alpha track and remain at deeper levels of mind. You can also use the Alpha Sound to assist you in practising the techniques learned at the Ultra Seminar to enable healing purposes. You will be guided to ease the tension in different parts of your body in a progressive manner. 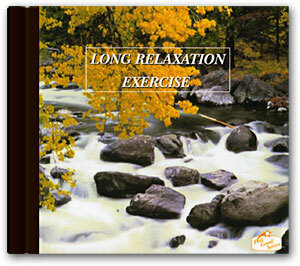 You will experience total physical and mental relaxation and become remarkably calm and relaxed within minutes.